Well, this is it, my first blog post (hi, Mom). 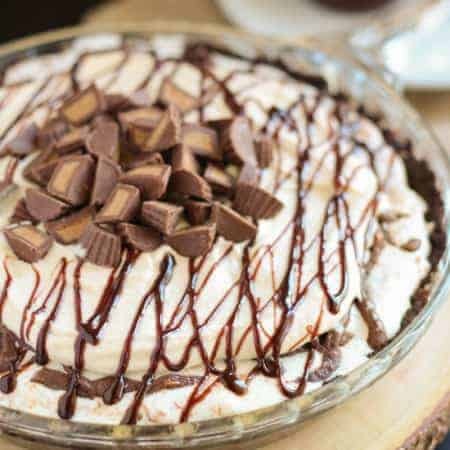 I thought this recipe would be the perfect first post because I have three chocolate and peanut butter fans in my family. Needless to say, they love these cookies. 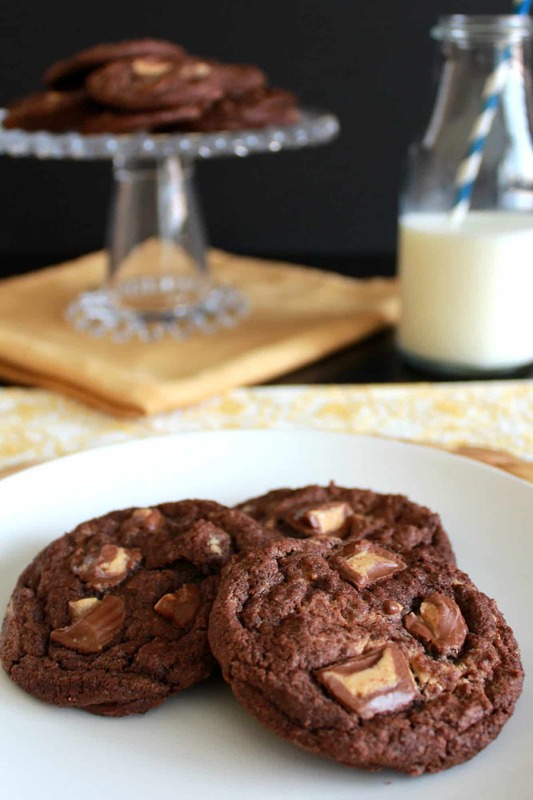 These cookies pack some serious chocolate and peanut butter flavor and just beg to be accompanied by a glass of cold milk. I started with a dark chocolate cookie base, added in swirls of peanut butter and mixed in dark chocolate chips and chopped peanut butter cups. 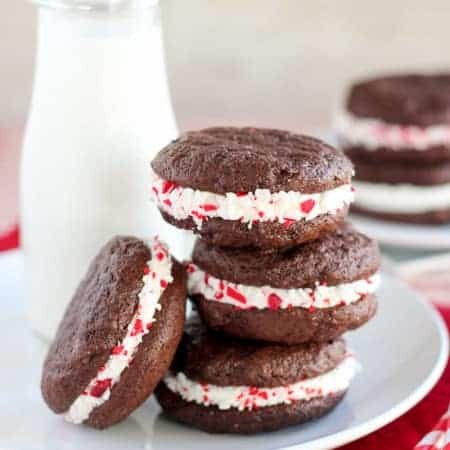 These are rich, decadent and delicious. If you know anyone who is a fan of chocolate and peanut butter, you must make these cookies for them – they will love you forever! 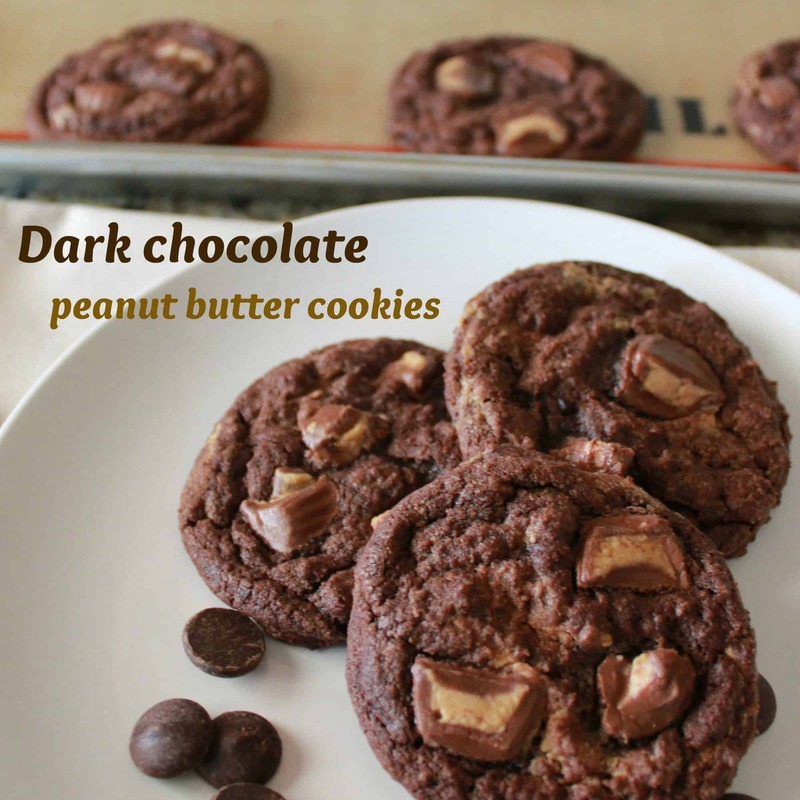 Dark chocolate cookies, loaded with dark chocolate chips, peanut butter cups and swirls of peanut butter. Combine peanut butter and powdered sugar. Mix until smooth. Place mixture in the freezer. 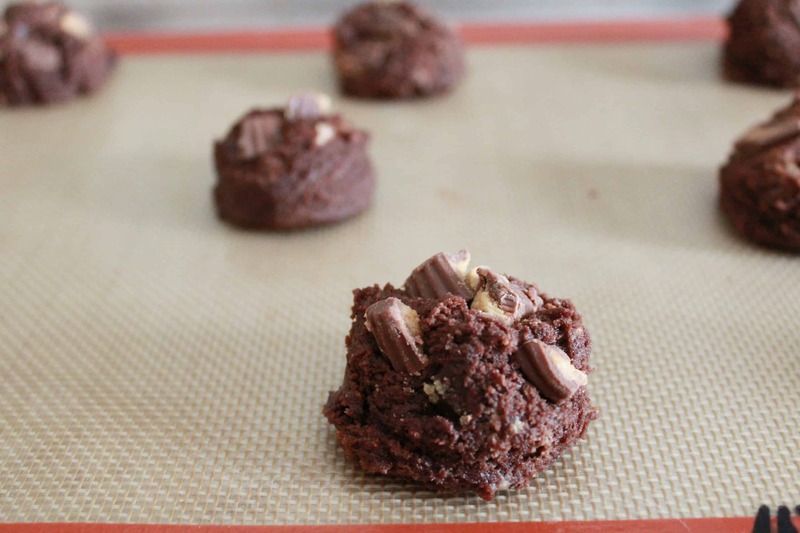 Also place the chopped peanut butter cups in the freezer while you make the cookie dough. In a stand mixer fitted with the paddle attachment, beat butter with sugar until light and fluffy. Add egg and vanilla, beat until combined. In a separate bowl whisk flour, cocoa powder, espresso powder, baking soda and salt. Add dry ingredients to butter/sugar mixture and beat until just combined. Remove peanut butter mixture from the freezer. Using two spoons drop small dollops (approx 1/2 teaspoon) of chilled peanut butter into the dough. Periodically turn on the mixer for a second or two, just to slightly swirl the peanut butter into the cookie dough. Repeat until all peanut butter is swirled into the dough. It is important to avoid over-mixing it at this point. You want the peanut butter swirls to be visible, not completely incorporated into the dough. With a spatula, fold chocolate chips into the dough, being careful not to over-mix. Drop dough by the heaping tablespoon (I used a 1 1/2 T scoop) onto greased or lined cookie sheets. Leaving a couple inches in between for spreading. 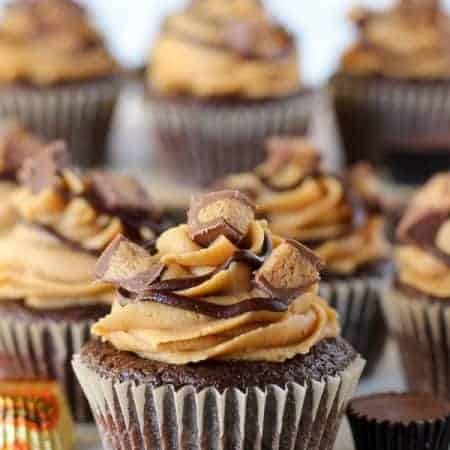 Remove peanut butter cups from the freezer and press several pieces onto the top of each cookie dough mound. Bake for 9-11 minutes until the cookies are just barely done around the edges and slightly soft in the center. I love chocolate and peanut butter!